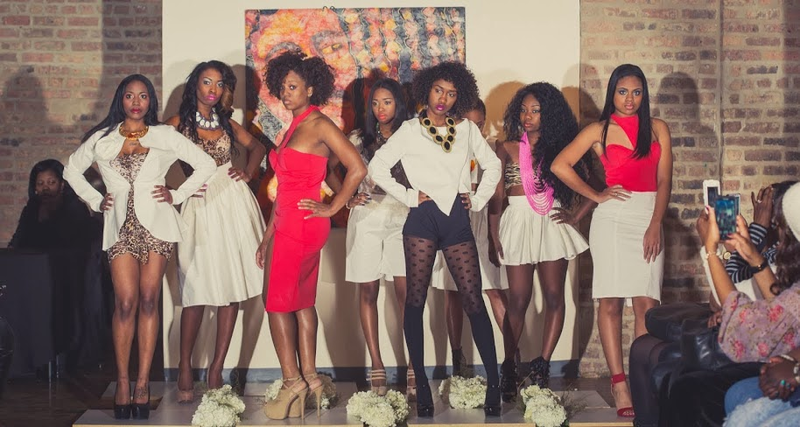 As a special treat to myself, I spent a Violet free afternoon checking out Chicago designer Shontay Pinder's Spring / Summer 2014 Passport collection. The new collection featured an all white palette of modern style vintage tops, dresses and skirts. Perfect for me as I love to mix modern and vintage together. Glad to see the trend is hitting the runway! 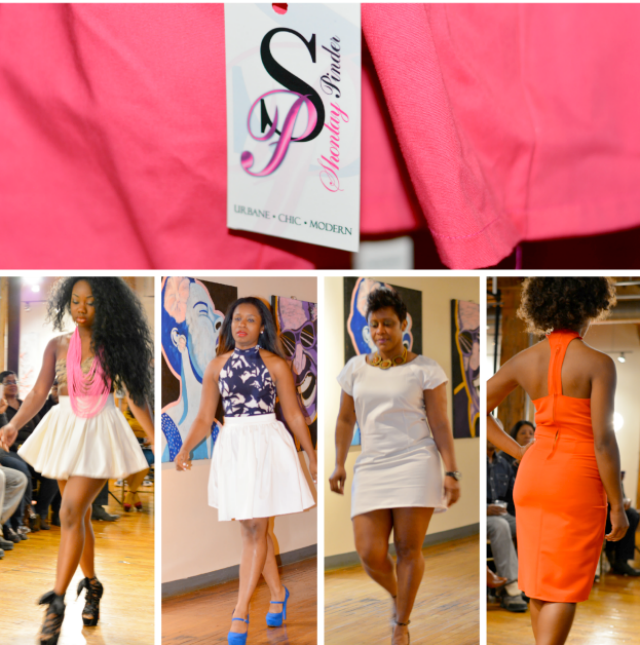 Shontay Pinder designs an affordable women's contemporary line known for classic design aesthetic with modern flair. She is also known for quality, sustainable garments. 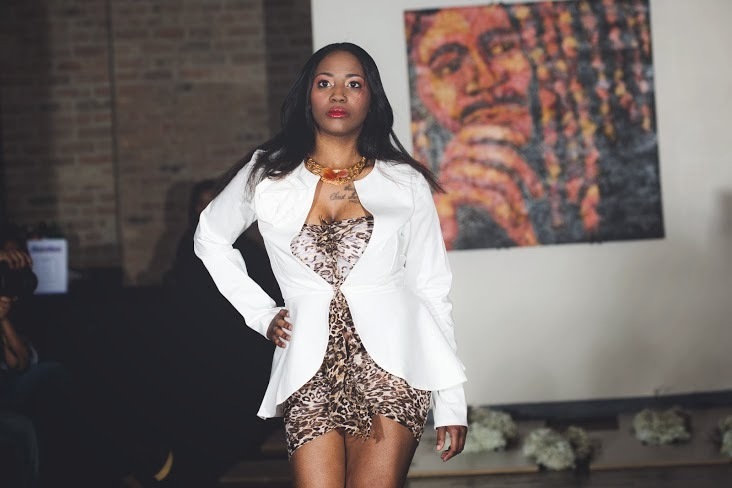 She was recently chosen to showcase her line with nine other top emerging designers at the well known Style Max Show at The Merchandise Mart. 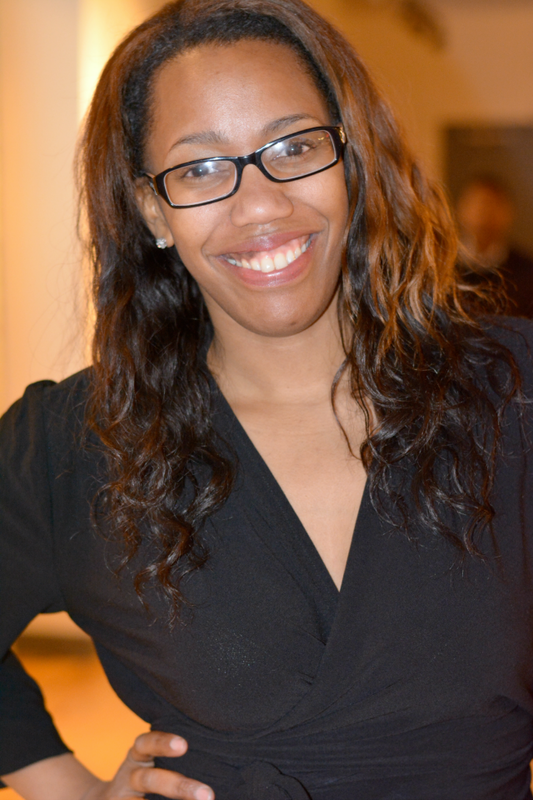 In addition to being a designer, Shontay loves to fundraise and give back. 10% of the event sales were donated to AIDS Foundation of Chicago. My favorites from the collection were the high waist (of course) full skirts and the color palette. When I heard it was an all white affair I went in thinking there's nothing for me because I don't do a lot of white. I'm a dirt magnet. 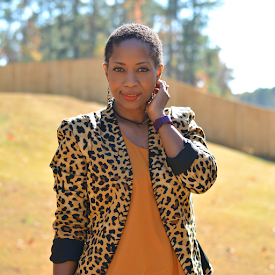 I was happy to see lots of animal print, pink and orange too. The perfect colors for a spring transition. In addition to a fashion show with some very fabulous models, guests were able to make purchases from the collection at sample sale prices ranging from $25 - $60! I didn't have enough time to explore the rack thoroughly though. Luckily, the collection is available at the recently opened Stand Out Style Boutique or you can follow Shontay Pinder Designs on Facebook for details. Also, sticking with my networking goals, I met a new bloggy friend at the event -- Sydney of Classic City Chic. She did approach me first but still. Progress. Do you like mixing modern and vintage? In bad fashion blogger style, I didn't take a picture of what I wore. I kept it casual with jeans and SEQUINS. I wore my orange coat too! I love that hot orange dress!